Now, if these words haven’t already become so vague that the veil of unknowing has begun to make any tangible means of God’s grace seem invisible and so beyond our grasp, let me leave the theology behind and tell you a story. One thing I do know for sure is that the shortest distance between the questions of what it means to be human and understanding our humanity is a story. It happened on a Thursday night. All week long I’ve been thinking about what I would say about the Baptism of Jesus and I wasn’t getting very far. It had been a busy week, with lots of things to do as programs around the church geared up after the lull of the holidays. After teaching Confirmation Class, I arrived home at about 9:30. The house was empty because my wife Carol was off visiting the grandchildren. It had been a long day, and I quickly got into my pajamas, switched on the fireplace, and settled into my recliner in front of the television. The PVR was full of shows for me to watch and the opening scenes of Grey’s Anatomy dragged me into the complications of lives I would never have to minister to and I began to relax. The drama of medical emergencies mixed with the complications of various love affairs pulled me into a world where there was absolutely nothing expected of me and I was loving it right up until the moment that the telephone rang. Modern technology means that the name of the person calling usually appears on right there on the TV screen so that I can decide whether or not I’m going to answer the call. When the phone rang I expected it to be Carol calling to say goodnight, so I’d already pushed the pause button, expecting that after a quick goodnight I could get back to my shows. By the time I realized that there was no name on the TV screen but only a phone number, it was too late and I was already saying hello. The caller was someone I’d heard from only once before. They were already halfway through a very nasty tale of woe when I realized that they were asking me to come out into the cold dark night. It was a call for help. It was a call that I had every right not to respond to. I mean the caller wasn’t even a member of the congregation. It was late. I was already in my pajamas. I was annoyed. I mean really. Couldn’t this person have called me before I left the church? What gave them the right to think that I would come out so late, in the dark, for someone I’d only met once before? The audacity. The sheer audacity of such a request was enough to make you scream. Give me a break. I listened to the caller’s plight with precious little sympathy. I asked her to hold on for a moment so that I could try to think of a way to help. What I really meant was, “Is there anyone in Newmarket that I can disturb at this time of night and ask them to go over and help?” Some of members have offered to help in this way in the past. Their names went through my mind as I tried to avoid leaving the comfort of my warm snug. It was only the thought of how annoyed I was to be disturbed at such a late hour that kept me from disturbing a member of the congregation. So, I told the caller to hold on and I would be there in about half an hour. I was cursing to bet the band as I went upstairs to get dressed. The air was positively blue. I was angry. I was going out in the middle of the night. It was ridiculous. Hell, it was dangerous. Yeah, we were going to meet in a public place. But why the expletive, curse, fill in the blank your self, why the ………blanket blank, should I? I certainly wasn’t going out of love for my neighbour. I was ticked. I was going because it’s my job to go. Sure I knew that I had every right to refuse to go. But if I didn’t go, my shows would be ruined. How could I possible sit there and enjoy my shows when I knew that someone needed my help. If I didn’t go, I knew darn well I wouldn’t get any sleep. I wasn’t going out there into the darkness to embody the love of God, I was going out there to avoid feeling guilty. I had absolutely no altruistic motives what so ever. I just didn’t want to be tossing and turning all night feeling guilty because I had very sensibly refused to go out on a call that I had every right to make wait until morning. I was in a foul mood and this person wasn’t going to get more than the motions from me. I had no compassion to give. I went into the bathroom to splash some cold water on my face and that’s when it happened. I bent over the sink and something, someone, somehow, penetrated my self-righteous indignation. As I cupped the cold water to splash on my face I remembered a lesson that I’ve taught Sunday School students, Confirmation students and from this very pulpit. I looked down at the water and remembered the instructions of Martin Luther. Every morning, when you rise for your morning ablutions, as you splash the water on your face, do it three times, once in the name of the Father, again in the name of the Son, and a third time in the name of the Holy Spirit and as the cold water hits your face three times remember your baptism. Remember that you were baptized in the name of the Father and of the Son, and of the Holy Spirit. Remember who you are. Remember whose you are. As I watched the water leak from my cupped hands, I began to laugh at my own annoyance. As I splashed once in the name of my Creator, twice in the name of Jesus the Christ, and a third time in the name of the Spirit that breathes in me, I remembered who I am and whose I am as the water grounded me in the reality of my humanity. I didn’t stop at three splashes. I went on to three more splashes. I cupped cold water three more times only these three times I did not repeat the words, Father, Son and Holy Spirit. With these three splashes I repeated my name. 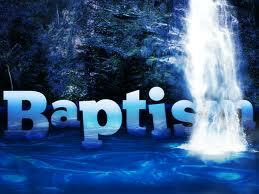 At our baptism we are named. And so remembering my baptism I said my name, the way my mother or father used to say it when they were annoyed with me, “Dawn Lesley Hutchings.” One of the strange things about middle names is that apart from legal documents, they are rarely used outside of church. Except when we are in trouble. For when we get into trouble, parents find our middle names very useful indeed. I always knew that I was done for when my mother called out my first and middle name. “SON.” “LOVE” “I AM delighted with you!” What could be better than that? “SON, LOVE, you please me to no end.” What could be better than to hear the God who is love, call you LOVE? That’s what happens each and every time someone is baptized. I may have gone into the waters of baptism as Dawn Lesley, but I came up out of those waters as “Love.” Each of you came up out of those same waters as God’s LOVE, God’s beloved with whom God is well pleased. One thing that truly mystifies me is that the voice of God is so soft and gentle. Scripture calls it a “still small voice.” From the Hebrew “bat qol” which translated literally is the “daughter of a sound.” The daughter of a sound is an intimate voice. It comes from a very deep place. It is soft and gentle. Each of us needs to gradually hear that voice. It tells us who we are and whose we are. That still small voice, that daughter of a sound, is where the spiritual life begins. Our spiritual lives begin by claiming the voice that calls us the beloved. Once we claim that voice the relationship grows. People ask me all the time, how to go about developing their spirituality. It begins with listening and hearing the voice and claiming what the voice says as our truth. Then we need to live the life of the beloved. It was close to midnight when I got home on Thursday night. I hadn’t done very much at all, just offered a listening ear, a drink and a little food. I took far more from our meeting than I gave. I can’t lead anyone to God any more than any of you can lead anyone to God, anymore than we can lead a fish to water. For we are all just like fish in water, each of us live and breathe and have our being in God. 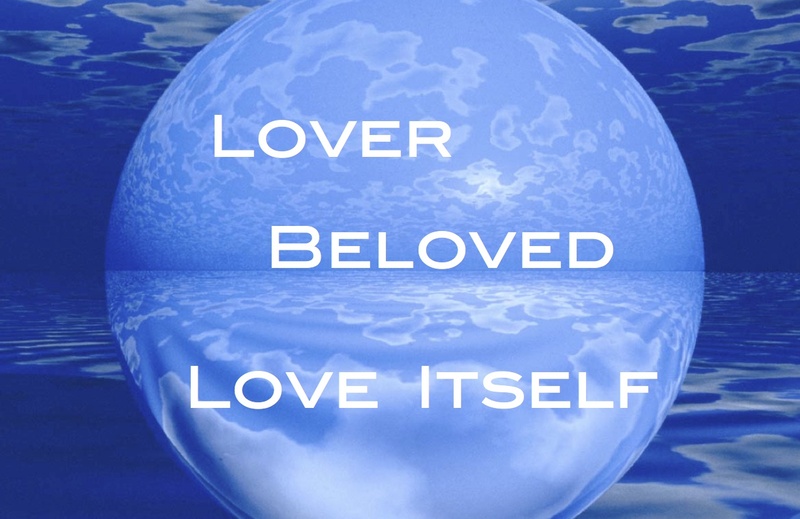 All that we need is to notice: to live fully, breathe deeply and to be all that we can be, for we are LOVE. and LOVE, now and always. Amen. This entry was posted in PONDERING PASTOR, Progressive Theology, SERMONS, Theology and tagged baptism of jesus, emerging church, evolutionary christianity, Lutheran sermon Baptism of Jesus, progressive Christian baptism, progressive Christian sermon Baptism of Jesus, progressive Christian sermon Matthew 3:13-17, progressive christianity, progressive theology, spirituality, theology by Rev. Dawn Hutchings. Bookmark the permalink.